Returning veterans Rosemary Esquivel, Rachel Soto-Garcia, and Hifsa Chaudhry returned this year to fill in their spots as the Varsity 1st, 2nd, and 3rd singles, respectively. 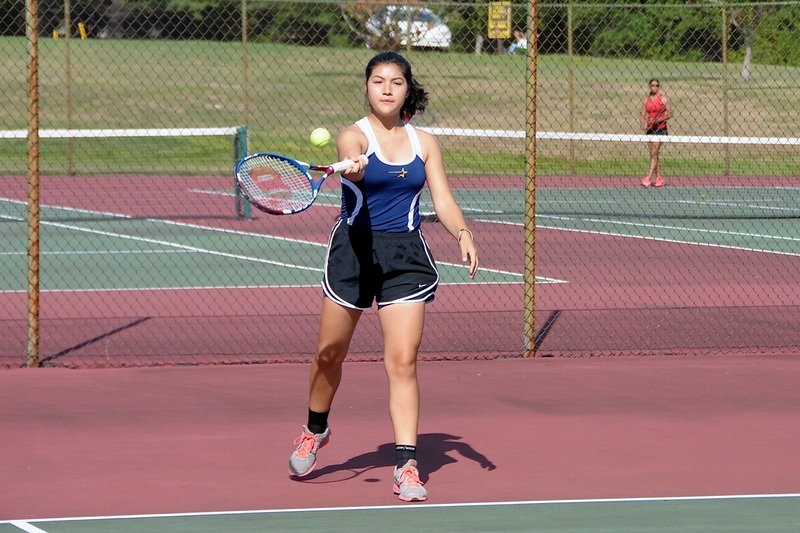 During preseason, four returning players upped their game and rose to the top to claim the rest of the varsity positions. 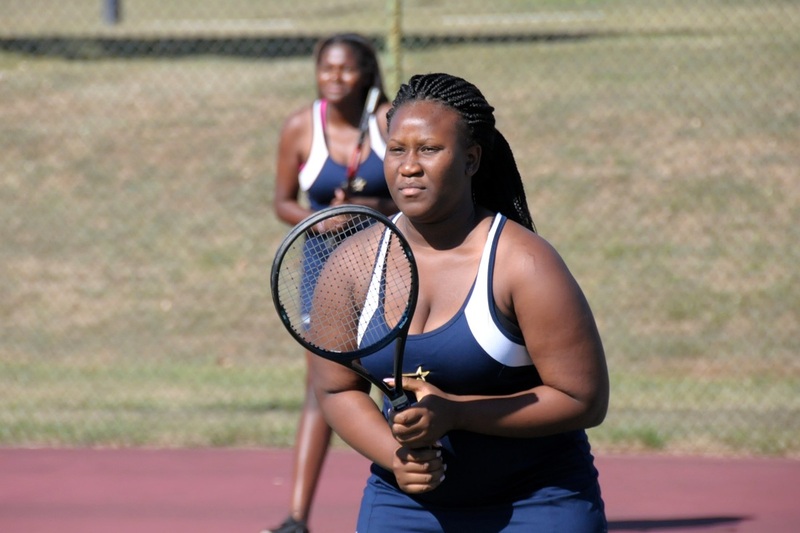 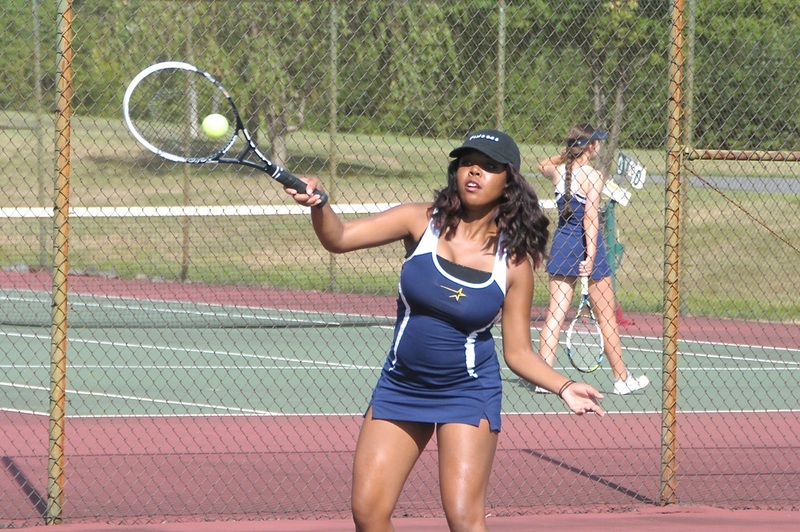 Senior Ashley Baines only started her tennis career her sophomore year, yet with tons of practice and a can-do attitude, she triumphed and made it to the top! Juniors Cardarwina Detournelle and Haley Shaffer and Sophomore Jessica Hallam also demonstrated the same perseverance and claimed their varsity positions with tremendous grace and wicked tennis skills. 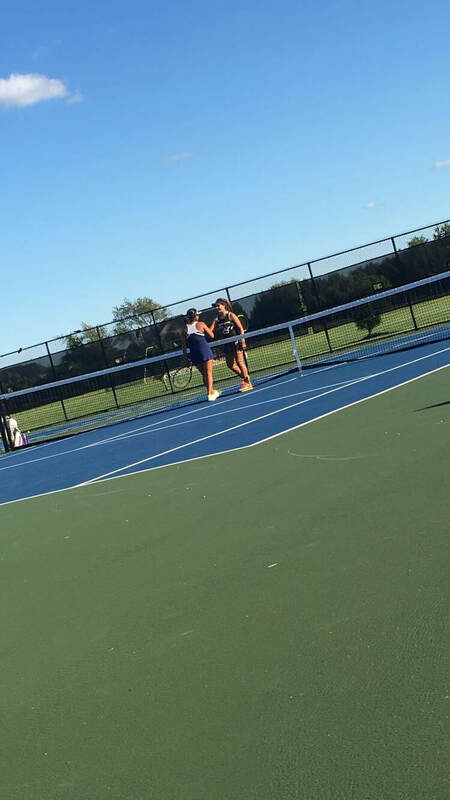 For their first match of the year against Allentown on September 8th, Rosemary Esquivel and Rachel Soto-Garcia crushed their opponents with 6-3/6-4 and 6-1/6-2 victories, respectively. 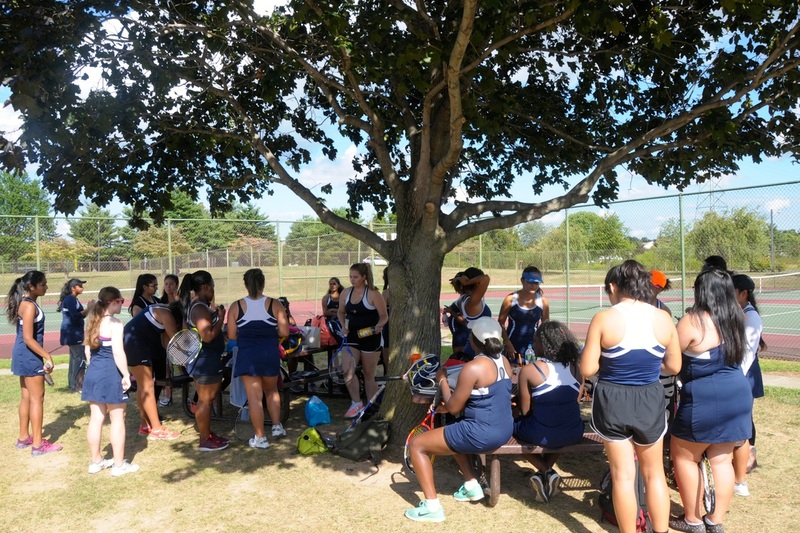 For their second match of the year, the team had an amazing 5-0 victory on Ewing! 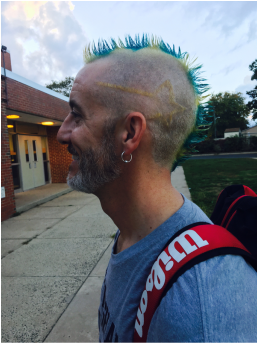 This year’s tennis team shows a lot of potential. 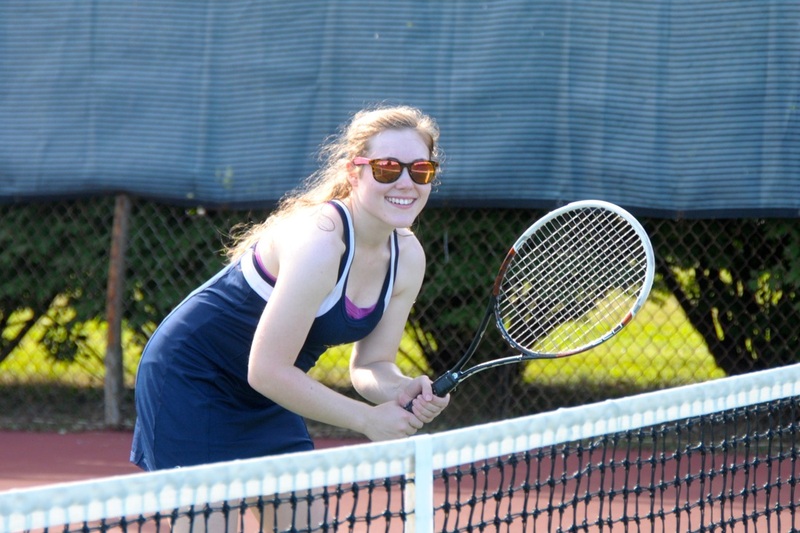 All of the girls are hard-working, fun, and determined to so their best. 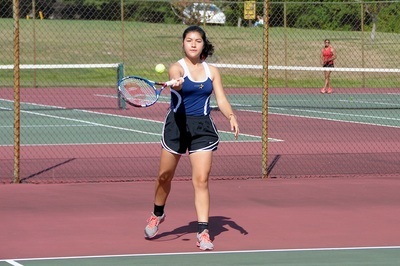 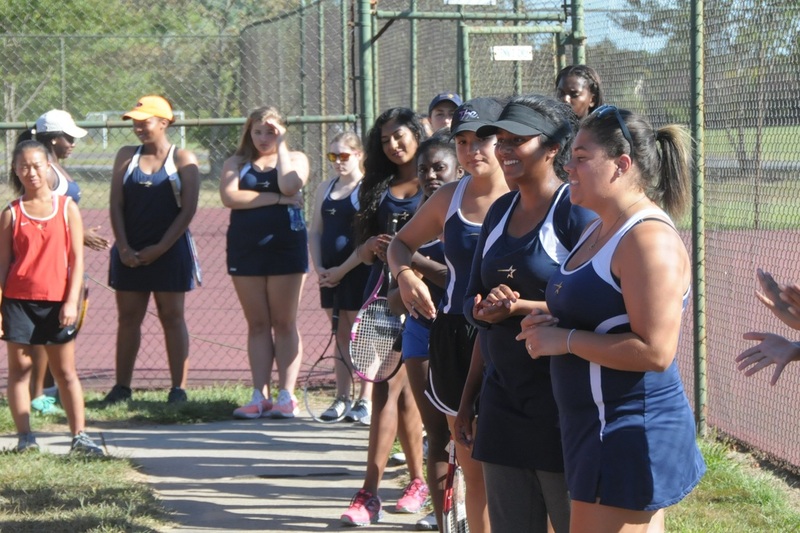 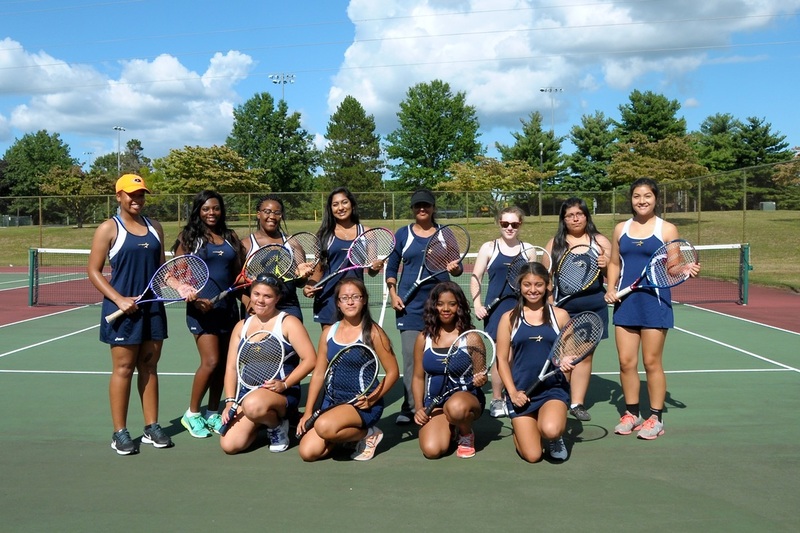 Last year, the Girls’ Tennis Team had a winning season for the first time in 13 years! 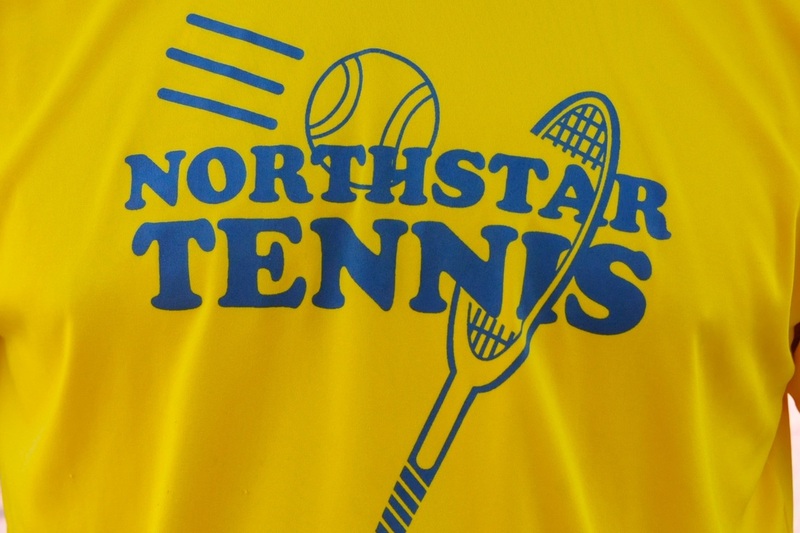 Hopefully, with all the amazing sportsmanship, the diligent veteran tennis players, and the motivated newbies, this year will be just as prosperous!